I have always loved the contrasting characteristics of the Gospel message. We are taught again and again how Christian life in this world demands that we look at things opposite to what seems natural. The question we must repeatedly ask ourselves is what really is “natural” in this life. According to nature first we must acknowledge that we live in a fallen world and in a fallen state, which consequently puts into question everything that is considered “natural” according to a secular worldview. Considering what is natural, therefore, must be seen only in comparison to life prior to the fall of Adam. While we do not know with absolute precision what this pre-fall state was like we certainly can affirm through Orthodox Christian Tradition and worldview the Truth at which we aim and the holiness for which we strive. The book of 4 Maccabees in the Apocrypha has a very intriguing depiction of this conflict: “The tyrant Antiochus, sitting in state with his counselors on a certain high place, and with his armed soldiers standing about him, ordered the guards to seize each and every Hebrew and compel them to eat pork and food sacrificed to idols. If they were not willing to eat defiling food, they were to be broken on the wheel and killed. And when many persons had been rounded up, one man, Eleazar by name, leader of the flock, was brought before the king. He was a man of priestly family, learned in the law, advanced in age, and known to many in the tyrant's court because of his philosophy. When Antiochus saw him he said, 'Before I begin to torture you, old man, I would advise you to save yourself by eating pork, for I respect your age and your gray hairs. Although you have had them for so long a time, it does not seem to me that you are a philosopher when you observe the religion of the Jews. Why, when nature has granted to us, should you abhor eating the very excellent meat of this animal? It is senseless not to enjoy delicious things that are not shameful, and wrong to spurn the gifts of nature. It seems to me that you will something even more senseless if, by holding a vain opinion concerning the truth, you continue to despise me to your own hurt. Will you not awaken from your foolish philosophy? '” (5:1-11). Eleazar responsed: “You scoff at our philosophy as though living by it were irrational, but it teaches us self-control, so that we master all pleasures and desires, and it also trains us in courage, so that we endure any suffering willingly; it instructs us in justice, so that in all our dealings we act impartially, and it teaches us piety, so that with proper reverence we worship the only real God” (5:22-24). What a beautiful challenge we have before us, and what unseen blessings lay ahead when what is right is done for the strength and joy of the soul. It is counter-intuitive to the “natural” man that sacrifice equals strength, that good works equal rest, that activity for the soul brings refreshment for the body, but it is the content of everything Jesus taught, “Love your enemies, do good to those hate you, bless those who curse you, pray for those who abuse you Give to every one who begs from you; and of him who takes away your goods do not ask them again. And as you wish that men would do to you, do so to them”(Luke 5:27-31). May this season of preparation to celebrate the birth of Jesus Christ be one of increased understanding of why He came. St. Gregory Nazianzus summed it up like this, “What is this mystery that surrounds me? I received the likeness of God, but failed to keep it. He takes on my flesh, to bring salvation to the image and immortality to the flesh. He enters into a second union with us, a union far more wonderful than the first. Holiness had to be brought to man by the humanity assumed by God, so that God might overcome the tyrant by force and so deliver us and lead us back to himself.” Beloved, Christ is born! Glorify Him! In general it is my belief, both from personal experience and from the shared experiences of others, that being offended is the problem of the offended—not the offender. I doubt that the man with a modern mind will agree. The modern mind is blame-oriented, usually willing to look for any reason other than oneself as the cause of why one feels bad, hurt, or unjustly treated. Sadly, our society has become so insensitive to this orientation that to many even the very thought of taking responsibility for e's own actions, let alone feelings, is virtually inconceivable. Anger, depression, self-love are all at the core of this prideful affliction. St. Leo clearly gives us here the means by which we can root out the causes of taking offense, and learn even a little of what Jesus meant when He said, “Blessed are the peacemakers, for they shall be called sons of God” (Matthew 5:9). There can be little doubt that America is a Protestant nation, if not in a Christian way then at least in regards to the root word, protest. And it seems to be getting worse and worse. Another political cycle is upon us and regardless of one's affiliation we see again how often there is little respect there is for those with opposing views. We see it not only in government but also in corporate America, academia, unions, churches; it degrades marriages, families, friendships, communities, business partnerships. Disrespect, cynicism, sarcasm, slander, lack of trust for authority and even each other, it seems rare that anyone can even give the benefit of the doubt anymore. There is a rush to accuse, and for the accused, a rush to vindicate. As a result the real issues that face the greater community get swept under the rug of an emotional distaste for open, honest dialogue, while our relationships, government, businesses, remain broken by the tyranny of taking offense. Who is going to make the first move? As Orthodox Christians we can only look within ourselves. Why is this? Fundamentally it is because we eschatological beings. Big word, I know. All it means is that as members of Christ's body our vision of life is not primarily of this world but more importantly of the Kingdom of God: both the kingdom present (did not our Lord say, “the kingdom of God is in the midst of you”?) and in the kingdom that is coming upon us (I believe (in) the life of the kingdom to come”). In this light, peace takes on a wholly (and holy) different meaning. It is not about letting ourselves be walked on nor is it about laying down weapons during times of war. Rather it is about persons, individuals, learning what it means to love God, to love our neighbor, and to love our enemies, and how love is applied in each person's life. It is about individuals whose faith in God and His Providence is not complicated, even while all around us many things are being worked out on many different levels in many e's lives, including our own! Yet how easy it is to judge when we only see part of a picture. How easy it is to condemn when we conclude a person's views or actions unworthy of our love. How sad it is when one's vision of life has been reduced only to what can be seen, touched, tasted, acquired, protected— allowing the brutality of malice and ambition to humiliate our capabilities for compassion and understanding. How even more sad it is when many do not even know this to be the condition of our lives, living in veiled self-interest and distrust. Man is better than this, and in this instance only will I say that we, especially as Orthodox Christians, should know better! And yet we (I) cannot fall into the traps of a polite society with patronizing statements such as, “He should have known better.” Certainly we can strive for basic expectations between men, but realistically every man, woman, and child is capable of tremendous struggle. That is why our only hope is in the Light of Christ, and our participation in things holy, while remaining united in the body of Christ through the Confession of sins, God's forgiveness and the Holy Eucharist. When these things are truly before us as priority and purpose, with the understanding of sin and with compassion for one another, how much easier it is for us first of all simply to pray, to pray for one another and especially to pray for those with whom we are at odds. In this light, who knows, maybe one day each of us will learn how not to be offended by anything. Maybe one day each of us will learn that it takes much less energy to love someone than to condemn them. Maybe one day each of us will learn that this command of Christ is exactly what He did for each of us, and that in Him we are indeed capable of doing the same for one another; thereby showing the world that our life in Christ is not of this world, and by our obedient examples of working for eternal solutions to our temporal problems each of us will show the world what it means of be a son of God. Gladly do I receive, O Christ, Eternal Truth, the Words You have spoken. I receive them with gratitude and trust. You have given them to me for my salvation. May they be the more deeply imprinted in my heart. Your words, so tender, so full of sweetness and love, give me courage. What is the meaning of this kindly invitation? Unaware of any good in me on which I may presume, how shall I dare to come? How shall I invite You into my house, who have so often done evil in Your sight? The Angels and Archangels do You reverence; Saints and holy men stand in awe of You; yet You say, 'Come you all to Me'! Unless You Yourself had said it, who would believe it true? And who would dare approach, unless it was Your command? Noah, a good man, is said to have worked a hundred years to build the ark, so that he and a few others might be saved. How, then, can I in one short hour prepare myself to receive with reverence the Creator of the world? Moses, Your great servant and special friend, constructed an Ark of imperishable wood, and covered it with purest gold, in order to house the Tablets of the Law: and how shall I, a corruptible creature, dare so lightly to receive You, the Maker of the Law and Giver of life? Solomon, wisest of Israel's kings, spent seven years in building a splendid Temple in praise of Your name. For eight days he kept the Feast of its Dedication, and offered a thousand peace-offerings. To the sound of trumpets, he solemnly and joyfully bore the Ark of the Covenant to its appointed resting place. How, then, shall I, unworthiest and poorest of men, welcome You into my house, when I can hardly spend half an hour devoutly? If only I could spend even half an hour as I ought! O my God, how earnestly did all these strive to please You! And how little, alas, do I! How short is the time that I employ in preparing myself for Communion! Seldom am I entirely recollected, and very seldom free from all distraction. Yet in Your saving presence, O God, no unbecoming thought should enter my mind, for it is not an Angel, but the Lord of Angels who comes to be my guest. How great a difference there is between the Ark of the Covenant and its relics, and Your most holy Body with its ineffable powers: between those sacrifices of the old Law which foreshadowed the Sacrifice to come, and the true Victim of Your Body, which fu1fills all the ancient rites! Alas, why does not my heart bum within me at Your adorable presence? Why do I not prepare myself to receive Holy Communion, when the Patriarchs and Prophets of old, Kings and Princes with all their people, showed so great a devotion in Your holy worship? The holy King David danced before the Ark, recalling Your blessings to his fathers; he wrote psalms, and taught his people to sing with joy; inspired by the grace of the Holy Spirit, he often sang and played on the harp; he taught the people of Israel to praise God with the whole heart, and to bless Him every day. If all these performed such acts of praise and devotion before the Ark of the Covenant, how much greater devotion and reverence should I and all Christian people have in the presence of this Sacrament, and in receiving the most adorable Body of Christ? Pilgrimages visit various places to venerate the relics of the Saints, covered with silks and gold, wondering at the story of their lives and the splendor of their shrines. But here on the Altar are You Yourself, my God, the Holy of Holies, Creator of men and Lord of Angels! When visiting such places, men are often moved by curiosity and seldom moved to true repentance. But here, in the Sacrament of the Altar, You are wholly present, my God, Christ Jesus; here we freely partake the fruit of eternal salvation, as often as we receive You worthily and devoutly; not with curiosity or sentimentality, but with firm faith, devout hope, and sincere love. O God, invisible Creator of the world, how wonderful are Your dealings with us! How sweetly and graciously You welcome Your chosen, to whom You give Yourself in this Sacrament! It passes all understanding; it kindles the love and draws the hearts of the faithful to Yourself. For Your faithful ones, who strive to amend their whole lives, receive in this most exalted Sacrament the grace of devotion and the love of virtue. O wonderful and hidden grace of this Sacrament, known so well to Christ's faithful, but hidden from unbelievers and servants of sin! In this Sacrament, spiritual grace is conveyed, lost virtue restored to the soul, and its sin-ravaged beauty renewed. Such is the grace of this Sacrament, that from the fullness of devotion You afford greater powers not only to the mind, but to the frail body. The Consecration of a church (in Greek, thyranoixia; literally “opening of the doors”) is the service of sanctification and solemn dedication of a building for use as a church. The consecration of a church is a rite filled with profound symbolisms. Many biblical elements are taken from the Old Testament: the Consecration of the Tabernacle (Exodus 40) and of the Temple of Solomon (1 Kings 8; 2 Chronicles 5-7). Once a building has been consecrated as a church it may not be used again for a secular purpose. Before construction of a new church building the local diocesan bishop must bless the endeavor. At the start of construction, the bishop lays a foundation stone that may or may not contain relics of a saint. Once construction is complete the building can be consecrated. The consecration is usually performed by the diocesan bishop, but if he is unable he may ask another bishop, archimandrite, or possibly a senior priest to perform the service on his behalf. While the consecration encompasses the whole church, the ceremony centers around the holy altar and holy altar table in particular. 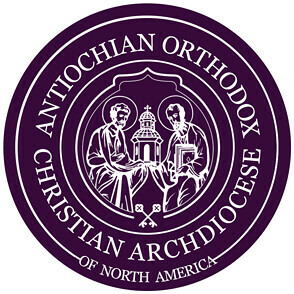 At the center of an Orthodox Christian's salvation and life in Christ is the holy altar. As we will see, the consecration of a church and its holy altar is its baptism and chrismation. In preparation for the consecration, the altar table is cleared and left uncovered. On the eve of the consecration, following the evening service, all the elements needed for the Consecration service are assembled. On the day of the consecration, the service begins with the blessing of a quantity of waters. The morning service (Matins/Orthros), may be held using a covered table before the Royal Doors set with a candle, tray (diskos), where the bishop will place holy relics and a cover for the diskos. The service begins with the reading of Psalm 143, followed by the reciting of petitions and prayers. The people and singers, led by the bishop carrying the holy relics, and priests, process around the church three times, reminiscent of the three processions around the font at baptism. Each time the procession reaches the front of the church, the bishop places the diskos on a table and reads from the Holy Scriptures. After the third procession is completed, the bishop chants a dialogue from Psalm 24 as he enters the church: “Lift up your gates, O ye princes; and be lifted up, ye everlasting gates, and the King of Glory shall enter in”; this represents Christ the King entering and taking over the building by defeating the power of the devil. After the dialogue is completed the bishop makes the sign of the cross with the diskos and enters the church. In the early days of Christianity when Christians were heavily persecuted, the faithful met in the catacombs where the Eucharist was celebrated on the graves of martyrs. Once the Church was officially recognized this custom was continued by placing relics in the altar table during the consecration of the church. This is a reminder that the Church was built on the blood of the martyrs and their faith in the Lord. After the bishop has entered the church, he continues into the altar. In the altar he places the diskos on the altar table. There he removes the relics and places them in a small box. The bishop then pours holy chrism over the relics, symbolizing the union between our Lord and his martyrs. With prayers and the reading of Psalm 145 the bishop then places the box with the relics in a cavity in the altar table where it is sealed in with a wax/mastic that contains fragrant spices as were used by Joseph of Arimathea and Nicodemus to anoint our Lord's body before his burial. In this, the holy altar represents Christ's tomb. After the relics are placed in the altar table, the bishop proceeds to the washing and anointing of the altar table. For this purpose the bishop is vested in a special white linen garment over his vestments called a sratchitza or savanon. The baptism of the altar table begins with the prayer of consecration by the bishop, followed by petitions. The bishop then is given a basin of water and, with a blessing and prayer, pours the water over the table three times and washes it while Psalm 84 is read. Symbolizing baptism, the table is cleaned by washing and made holy by the grace of the Holy Spirit. After the table is dried, the bishop sprinkles rosewater on it and continues reading Psalm 51. The assisting priests then dry the table. Having anointed the table with chrism, once in the center and on each side, the bishop proceeds to spread the chrism over the whole table while reciting a section of Psalm 133. The excess chrism is wiped off by the priests and icons of the four Evangelists are fastened, one at each corner, to the altar table. While Psalm 132 is read, a white linen cloth, representing the Lord's burial shroud, is laid over the altar table. The cloth, called the katasarkion, is tied on the table with a cord that represents the cord with which our Lord's hands were tied when he stood before the high priests. The katasarkion is permanently installed, to remain as long as the church stands. After washing his hands, the bishop now covers the altar table with a more ornate cover that symbolizes the glory of God and places the other holy articles, including the antimins, Gospel Book, the tabernacle, and candle sticks, on the altar table, as the reader reads Psalm 93. After the altar has been consecrated, sanctified, and adorned, the entire church is censed while Psalm 26 is read. Then, the bishop anoints with holy chrism the four walls of the church and holy icons, making the sign of the cross on each with the chrism. The bishop then offers prayers for the altar, church, and faithful and places a lighted vigil light on the altar table. As the consecration service comes to an end, the bishop removes the sratchitza he is wearing and may offer it to be cut up into small pieces that are given to each person in church. Concluding prayers for the consecration service are then offered before starting the first Divine liturgy to be celebrated in the newly consecrated church. The Holy Spirit has descended! From Heaven to earth! So the Church proclaims on the Great Day of Holy Pentecost, celebrating, as it said, Her birth, and even more importantly the beginning of the conversion of the entire world from darkness to light, from falsehood to truth, from violence to peace, from sorrow to joy, from death to life! On this day the Apostles and those gathered “in one place” were “all filled with the Holy Spirit” (Acts 2:1-4) and so was laid bare the darkness of error and unbelief which had ruled in the world since the day Adam fell in Paradise. On this day the genesis of pure Faith was seeded in the hearts of “the Apostles and those gathered” in preparation of being sent out according to lot determining where each should go to take part in the preaching of the Gospel. On this day the Church was born not as institution but as guardian of all that the Apostles and their successors would proclaim and teach. On this day God's Temple which will be seen in the icon of every church is established as the place for Christ's body to gather to worship Him “in spirit and in truth” (John 4:23). On this day every man, woman and child is given the beginning of Life to which each is called to preserve and perfect in the arena of this world and in preparation of “the life of the world to come” (Nicene Creed). On this day each of us are given all that is needful to finish that which has begun! This is a most special time of year. Great and Holy Lent has prepared us to enter once again into direct contact with our Lord's Death and Resurrection. Pascha and our Lord's Ascension has enlivened our souls, hearts and minds with all that is Life and Light, and we have celebrated to the fullest extent the joy of the Risen Lord. And now the season of Pentecost begins, the season of illumination in which we have lived all our lives, the eternal season of God's intimate seal and plan of salvation for every man and the whole universe! What is this plan? “That all men would be saved and come to the knowledge of the truth” (1 Tim. 2:4). How is this to be done? Through the grace and mercy of God to be sure; but also through our response to all that we have been given by God to be salt and light to this world, in order that this world may see what good is “and give glory to the Father who is in heaven” (Matt. 5:13-16). What does it mean to be a Christian? I mean no condescension by asking this question. I ask because the answer is both easy and unexplainable. I concentrate here on the beautiful act of believing while admitting that faith is not always easy. I concentrate here on the priority of purpose while admitting that the extreme materialism of modern society has perverted man's ability to perceive God's holiness and perfect way. I concentrate here on how there will always be higher [spiritual] goals before us and that we must never forget our Lord's admonition, “Take heed then how you hear; for to him who has will more be given, and from him who has not, even what he thinks that he has will be taken away” (Luke 8:18). It is at this time of year that we are especially reminded that our Church is Holy, Catholic and Apostolic, and that our participation in this life is not about the acquisition of blessings but rather the vocation of sacrifice. We have a ruthless enemy whose sole purpose is to distort and destroy all that God has created. What does it mean to be Christian? We look to the example of our Lord's first followers, His Mother, and all men and women of super-abundant courage, perseverance, and strength, who fought daily not for the betterment of their own lives in this world but rather for the preservation and perfection of faith: their own and for the sake of every soul to whom they were given to love. Is this who we are? If so, then there is hope that we are not Christian in name only. If not, then there is much to learn regarding the fallacy of having “made it” in this life: either in the contentedness that arises from worldly success or from believing that one has given enough in the stewardship of his life, and his life in Christ. Beloved, every joy and every sorrow we experience in this life is a gift, stemming from God's abundant grace and the intimacy of His presence, be it the love of the Father, the promise of the Son or the seal of the Holy Spirit. Great is the soul who continually strives to be alive in this great gift of life, and who perseveres with all priority to fight the good fight of faith, seeking not only victory for himself and others in the vocation of our common calling with the Apostles and all the Saints, but also the pathway of perfection which “keeps a man” undaunted in his yearning for Christ, His Kingdom, and all that is good.